Being able to breastfeed your baby is something to be proud of. Not everyone can do it and it’s not an easy stride. It’s a rewarding and personal journey you go through with your baby that you will cherish forever. For some moms, being able to remember this journey and maybe even have a souvenir of the process may be something that is desired. No, we aren’t talking about keeping a filled bottle for posterity, we’re referring to a new motherhood trend of breast milk jewelry. A personalized keepsake to remember those moments shared with baby early on. 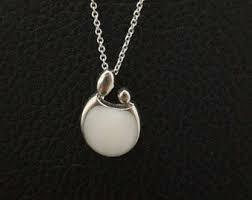 Breast milk jewelry is exactly what it sounds like, a piece of jewelry made to include some of the mother’s milk. When made correctly, it is a keepsake that will not sour or go bad and is one of a kind. The jewelry is one of kind in design depending on the color of the milk, as colors can vary from a milky white to a yellow tint. Once the color is preserved, it remains through the life of the jewelry. There is usually an option to add additional shimmer or colors, however, most mothers chose to keep the color close the actual color of their milk to make it more memorable. Once created, this jewelry can be turned into various forms such as rings, necklaces or bracelets. Typically, prices for breastmilk jewelry can vary greatly depending on the company the jewelry is purchased through and the type of jewelry that is requested. For example, if you wish to have jewelry that has diamonds, gold or silver, the piece will cost more. 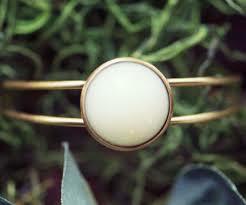 Breastmilk jewelry is made by a process that turns the liquid milk into a solid form that can be used for jewelry. Depending on which company the jewelry is made from, the process can vary. The method takes a surprisingly small amount of milk, requiring only about two tablespoons. Even if the milk has been frozen or even stored for many years, it is still able to be used to create a memorable stone to fit into a piece of jewelry. Generally, companies will mix the milk with a variety of chemicals to solidify it. It is then placed into a mold to fit into the jewelry piece. While this may sound like an over the top, and complex manufacturing effort, it is a fairly simple process. Women can even buy a kit or the chemicals to make a piece at home for a cheaper and faster option. Mothers only have the special bond of breastfeeding with their baby for a limited period of time. Whether it be six months, a year or even two years, it is an experience that is unlike anything else and it is a bond that many women wish to remember forever. Breastmilk jewelry is a way to freeze this moment in time and capture the memory forever.